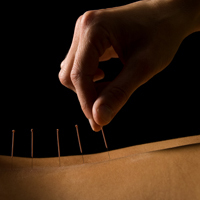 This may be your first experience with acupuncture as a treatment in integrative health. I would like this to be a pleasant, relaxing and safe treatment. All needles are sterile and disposable. All equipment will be explained and shown to you before use. 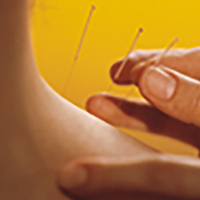 Following is a bio of your acupuncturist and then an explanation of procedures and policies to ensure you have a clear, comfortable and professional relationship. Irene McCormack is a licensed acupuncturist. She graduated from the New England School of Acupuncture in Watertown, Massachusetts with a Master’s Degree in Oriental Medicine. This degree is the culmination of her pursuits to integrate both Western and Eastern healing practices. Irene has continued her Oriental studies and is certified in Shakuju Japanese style therapy from the Japanese Master Sensi Kobayashi Shoji. She is also a Family Nurse Practitioner, Board Certified and has been a registered nurse for over 30 years. She is currently practicing as a nurse practitioner in North Falmouth. Irene has always searched beyond just treating presenting symptoms of her patients. Since the beginning of Irene’s nursing education at Laboure’, she has embraced the concepts of the person being treated as a trinity of the mind, body and spirit. In her quest to fully understand the connections, Irene studied the affects of the subconscious mind on the body, applied healing of the inner child and graduated from the Wellness Institute of Washington after a two year externship in 2000. Irene went on to further complete her studies in Metaphysics at Delphi University as a Meta physician in 2005. Irene has been practicing acupuncture in the Cape for two years at Acupuncture and Associated Therapies in Mashpee. She also practiced in Medford, and now in Marshfield, Massachusetts. She comes to Healing Arts Center to continue to practice individualized treatment plans for each patient. With Irene you have the best of both Western and Chinese Medicine in her healing practice specialized for you. Only disposable needles are used. 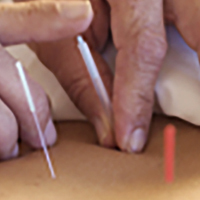 All acupuncture needles are new, sterile, used once, then are disposed . The needles are hairlike thin, and very safe with shallow insertion. The office is careful not to overlook, or overbook appointments. When you arrive I will do my best to see you on time. In exchange, we ask that you respect our efforts by arriving on time and if you are going to be late to call the office to notify us. Changes and cancellations must be done with our staff . I do charge the full fee for a missed appointment without full notification. A full business day is required for cancellation ( that would be on the Friday prior to the scheduled Monday appointment). There may be no office staff available for a Saturday cancellation. Please do not leave a cancellation notice on the phone over the weekend. Cancellation exceptions are made for serious emergencies only, or bad weather. Please make payment at the time of your appointment. I will be able to accept cash, or personal check. We cannot maintain running credit accounts. 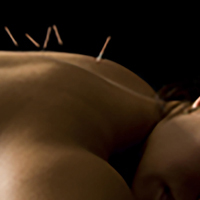 Some insurance policies cover acupuncture but I am not able to accept insurance assignments at this time. To find out if you may get reimbursement, please check with your individual insurance company. Personal injury insurance from auto accidents usually cover treatments. 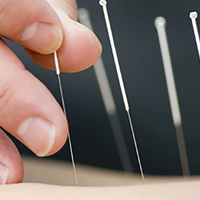 Worker’s compensation plans may also cover acupuncture with pre-approval. If your insurance carrier requires statements of accounts or copies of treatment, I will be happy to provide these for you. There will be a charge for reports. For optimum results, please do not come to receive acupuncture on an empty stomach, as it may result in effects such as dizziness, nausea, or fainting. If you smoke cigarettes or drink caffeinated beverages, please refrain for at least 1 hour prior to treatment. Please wear comfortable clothing, pants that can be pushed up above the knees. Also, please do not brush your tongue coating. If you have x-ray or MRI reports, please bring those reports or call your doctor in advance for them to bring to your first appointment. Please do not plan to exercise for 6 hours after your treatment for optimum benefit. Click here to download an intake form to fill out at your leisure prior to your appointment. I look forward to a comfortable and successful course of acupuncture treatment.